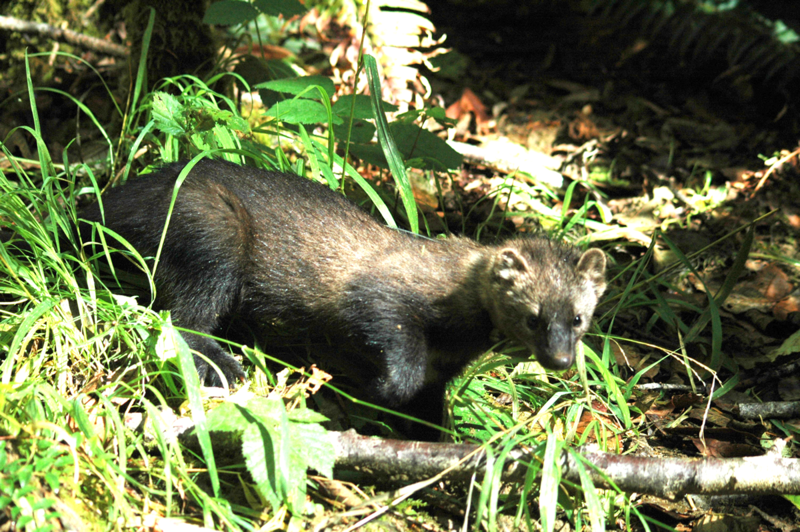 Fishers, known to science as Pekania pennanti, although slightly smaller than their powerful cousin the wolverine (Gulo gulo), are predators not to be underestimated. Similar in size and shape to a domestic cat, fishers are expert tree climbers and regularly prey on the well-fortified porcupine. Despite their many unique abilities, fisher populations have declined across their range due to commercial fur trapping and habitat loss. Fishers today face additional and emerging threats. The U.S Fish and Wildlife Service withdrew a proposal to list fishers as threatened in California, Oregon, and Washington under the Endangered Species Act in 2016; a decision currently being litigated. INR is working with collaborators and stakeholders to fill key information gaps and offer science-based recovery and conservation strategies. INR is working with partners on a wide-range of field-based research projects, population and habitat modeling efforts, and decision support tools. Read more about INR's fisher activities via the links to the right. Read a US Fish & Wildlife story about fisher relocation in the northern Sierras. Read a blog post about daily field experiences monitoring fishers in the Klamath-Siskiyou region. We describe research on fisher, fox, and ringtail interactions in an article in the Journal of Animal Ecology.